Vauxhall Corsa Limited Edition Specification includes: 17-inch Black Alloy Wheels. Black Roof. Black Mirror Casings. Sports Front Seats. Sports Pedals. Intellilink Colour Touchscreen incorporating Digital (DAB) Radio and Bluetooth Connectivity. USB and Aux In Sockets. 12v Socket and Cup Holders in Centre Console. Front Fog Lights. Dark Tinted Rear Glass. HIRE PURCHASE REPRESENTATIVE EXAMPLE: Cash Price £7850-00. Deposit/Part Exchange £200-00. Total Amount of Credit £7650-00. Purchase Fee (included in the Final Payment) £10-00. Credit Facility Fee £0-00. Total Amount Payable £9711-80. Initial Payment £158-53. 58 Monthly Payments £158-53. Final Payment £158-53. Duration of Agreement 60 Months. Representative APR 9.3%. Interest Rate (Fixed) 8.89%. Vehicle History: This stunning Limited Edition looks amazing in the Summit White contrasting with the black detailing. It was registered on 30 April 2015 and comes provided with two remote control keys. 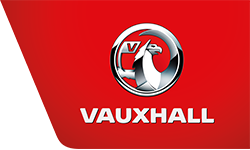 It boasts a FULL VAUXHALL SERVICE HISTORY. Further Specification Information: Air Conditioning with Air Recirculation Facility. City Steering Function. LED Daytime Running Lights. Sports Leather Steering Wheel with Fingertip Hi Fi Controls. Power Steering. Electric Front Windows. Electric Door Mirrors. Remote Central Deadlocking. Factory Immobiliser. Height Adjustment to Driver Seat. Reach/Rake Adjustment to Steering Column. Driver/Passenger/Side/Curtain Air Bags. Anti Lock Braking. Electronic Stability Programme (ESP). ISOFIX Child Seat Mountings to Outer Rear Seats. Rear Headrests. Folding Rear Seatback. 6-speed Manual Gearbox.